Original image uploaded by @mega_girlshobby. May 28th, 2016. 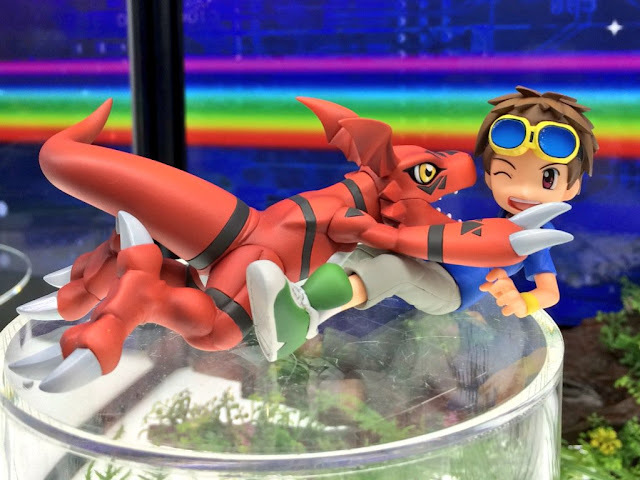 Today's Mega Hobby Expo not only offered a first look at the colored Matsuda Takato & Guilmon G.E.M. Series figure announced earlier this month, but was also accompanied by the surprise announcement of a Motomiya Daisuke & V-mon figure pair. Previously Digimon Adventure 02 fans had expressed some frustration in the light of Takato's figure announcement, as studio Mega House had previously only produced a figure for Ichijouji Ken of 02, seemingly jumping straight to Tamers despite having produced figures of every one of Adventure's Chosen Children. The announcement that Daisuke will be receiving a figure of his own has seemingly put these concerns to rest in wake of the announcement, although the figure's time frame has not yet been announced. Original image uploaded by @susuyan81. 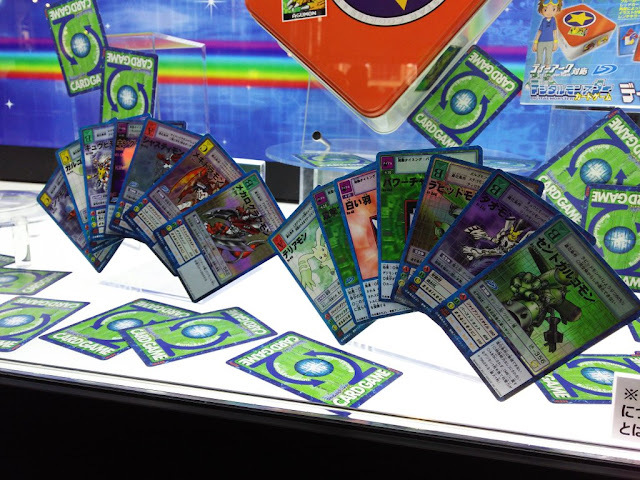 The expo also featured the upcoming card tin and accompanying Hyper Colosseum cards, providing a first look at some of the set's reprints. These will be compatible with the D-Ark Ver. 15th, and faithfully replicate the appearance and foiling of the original cards. Particular notable among the cards shown is King Device, an option card which on the original D-Ark Ultimate could be slashed alongside Queen Device to gain simultaneous bonuses to HP, AP, and SP. 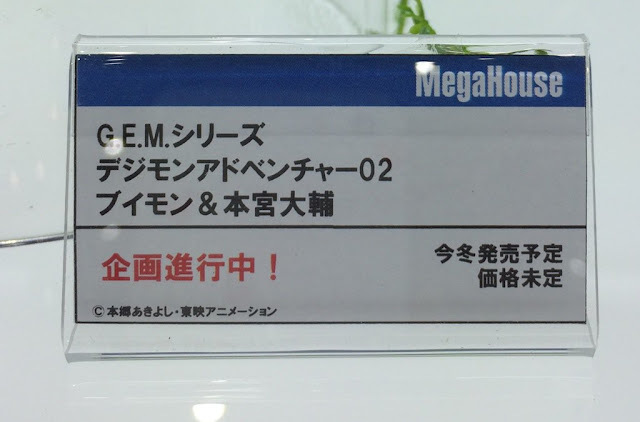 The card identifying the V-mon & Motomiya Daisuke figure. Original image uploaded by @mega_girlshobby. Digimon Adventure tri. voice actor and general Digimon fan Matsuzawa Chiaki tweeted about the expo, expressing gratitude to MegaHouse for supporting Digimon, and expressing hope that Frontier would be next. It's about the voiced Agumon & Gabumon Digitama from a while back. It seems that beginning 6/1 they're being made free DLC instead of requiring a product code. For me Daisuke was the worst digimon character until i saw Tagiru.